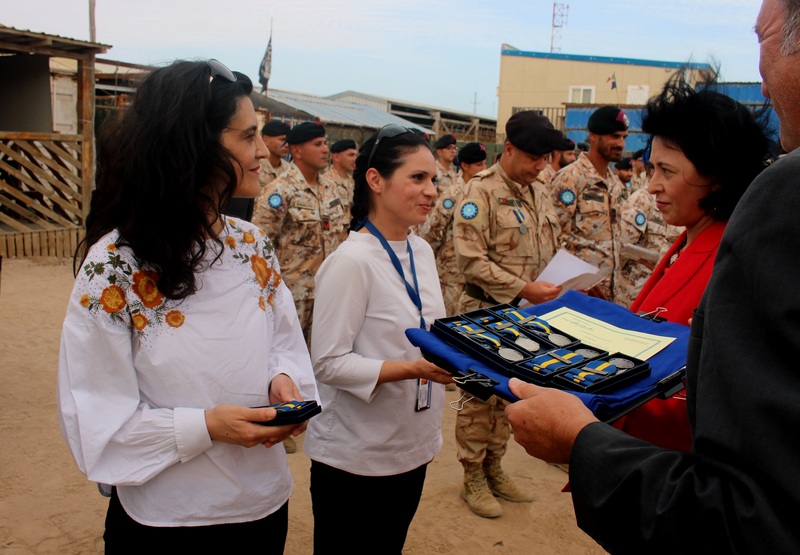 Excellent work and dedications of the Mission members of EUCAP Somalia and EUTM Somalia was celebrated on 15 January in a joint medal parade in Mogadishu. 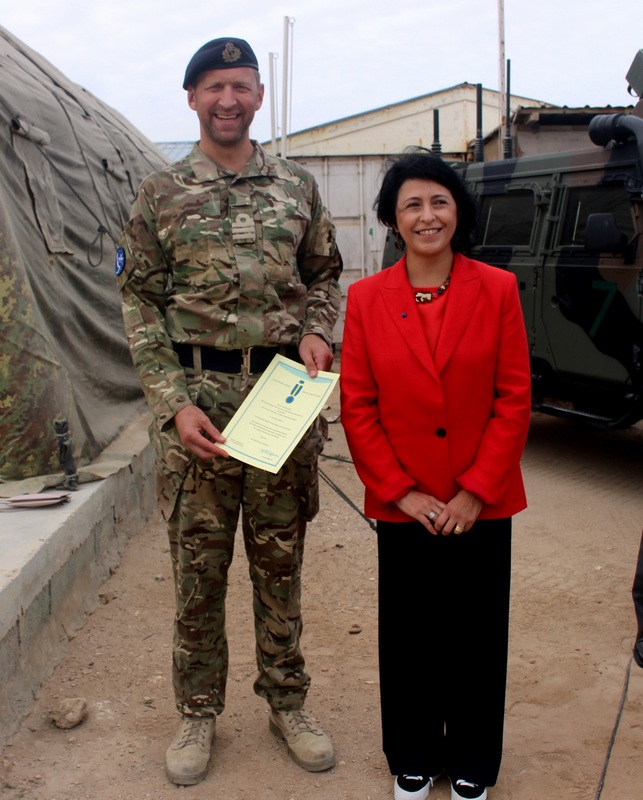 Eight EUCAP Somalia mission members and EU NAVFOR Liaison Officer were awarded a Common Security and Defence Policy Service Medal during a ceremony organised together with the military mission EUTM Somalia, also awarding its personnel service medals. EUCAP Somalia’s Head of Mission Maria-Cristina Stepanescu awarded the medals to Legal Adviser Balazs Jutasi, Reporting Officer Carina Santos Franco, Mission Security Officer Gabriela David, Senior Police Adviser Jan Swaan, Head of Field office Mogadishu / Deputy Head of Operations Jukka Hollstrom, Police Adviser Paulus Tuhumena, Finance Officer Tomas de Mello Paes de Vasconcellos, Head of Planning and Evaluation Department Torsten Hoffmann and EU NAVFOR Liaison Officer Commander Steven Gilmore Royal Navy. 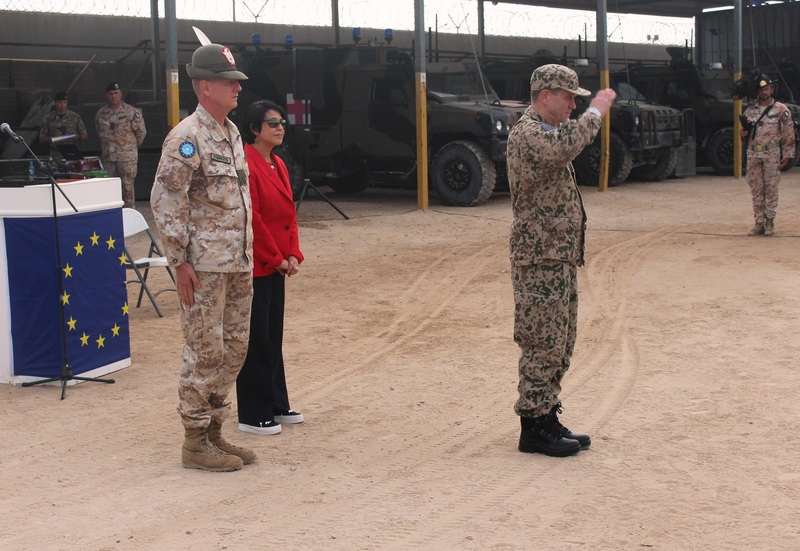 Director of Military Planning and Conduct Capability, Lt. Gen. Esa Pulkkinen and EUTM Commander Matteo Spreafico awarded the Medals to staff serving in the military mission. Head of Mission Maria-Cristina Stepanescu expressed her appreciation for the EUCAP Somalia staff who are working for the best of Somali people in a volatile and demanding environment. 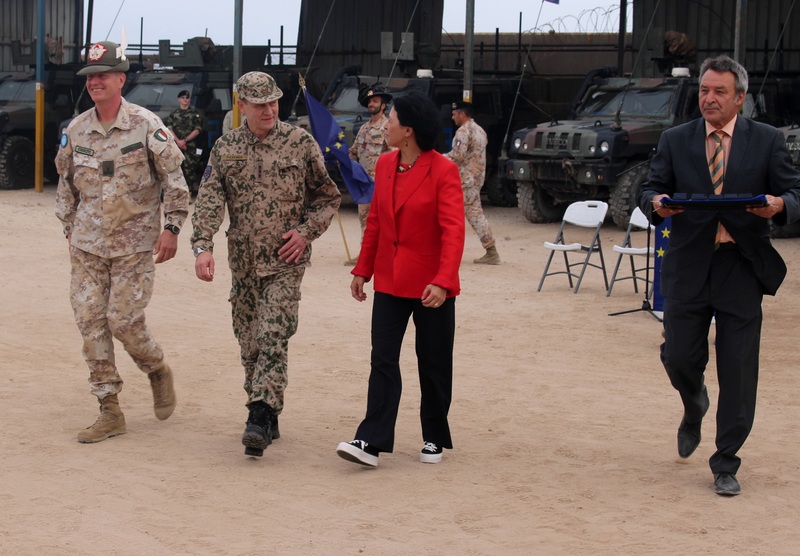 Lt. Gen. Pulkkinen stated that the work done by the EU staff in the area is of great importance for both Somalia and the EU.